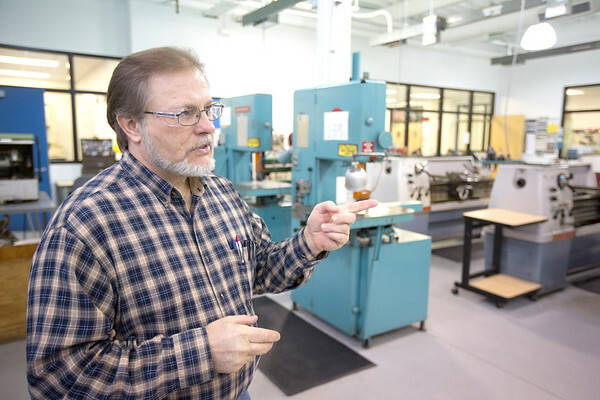 Teacher Matt Teeter talks about the machines in his classroom at the Parsons-Stulen Building. "I think it needs more recognition and more people understanding what we do," he said. The TBAISD received $583,000 and was one of 14 districts statewide that received grant funding to purchase specialized equipment and expand programming.